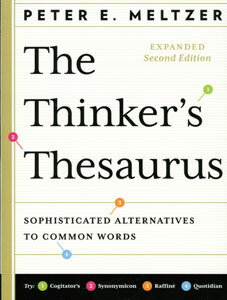 While in theory a thesaurus is a marvelous reference aid, the reality tends to be quite different. That “eureka” moment (“That’s just the word I need!”) we all hope for when consulting a thesaurus occurs far too rarely. Conventional thesauruses present “le mot juste” far less frequently that they should (and never present the term “le mot juste” itself). So I decided to have fun with the new words I found and to share them with my fellow readers and writers. Here are your first 12. Do you know their meaning? Have you circled all your answers? Are you sure? If so, you can scroll down to see how you did. Be honest. How many did you get right? You don’t have to tell me, but it wouldn’t take much to impress me. 10-12 Congratulations! You finally made good on those Latin classes. 07-09 You really have to get out and socialize more. 04-06 Had a crush on your English Comp professor, did you? 00-03 You’re welcome at my home any time. Categories: What's In the News, Writing | Tags: increase, knowledge, spelling, vocabulary, words | Permalink.